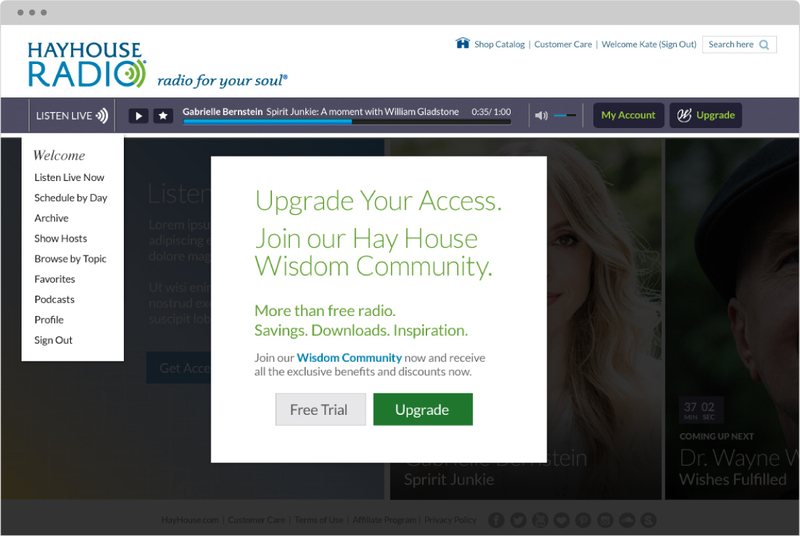 The previous Hay House Radio site was outdated and overloaded with information and made it hard to quickly access the radio player. 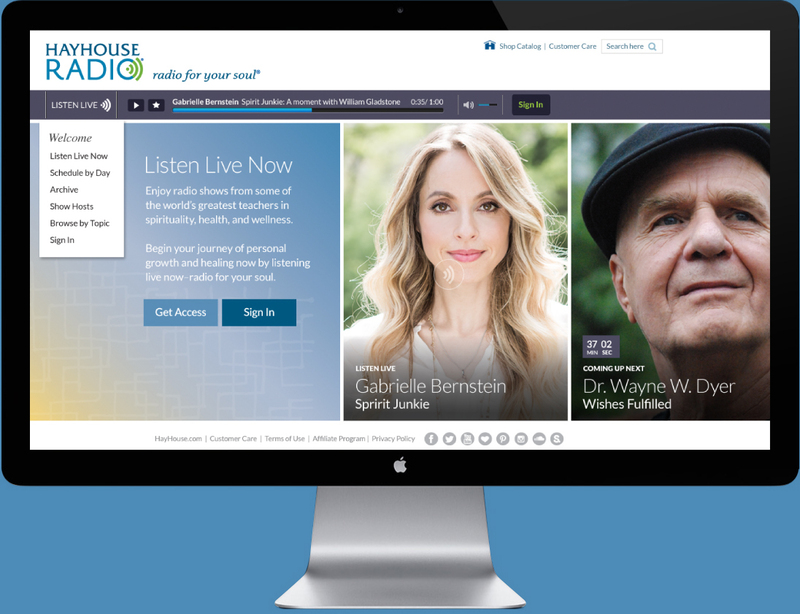 The design overhaul on this site was a game-changer for Hay House and its viewers – everyone loved the new look and flow. And there was a major boost on website engagement, click-throughs and increased product sales. Huge transformation for big success. 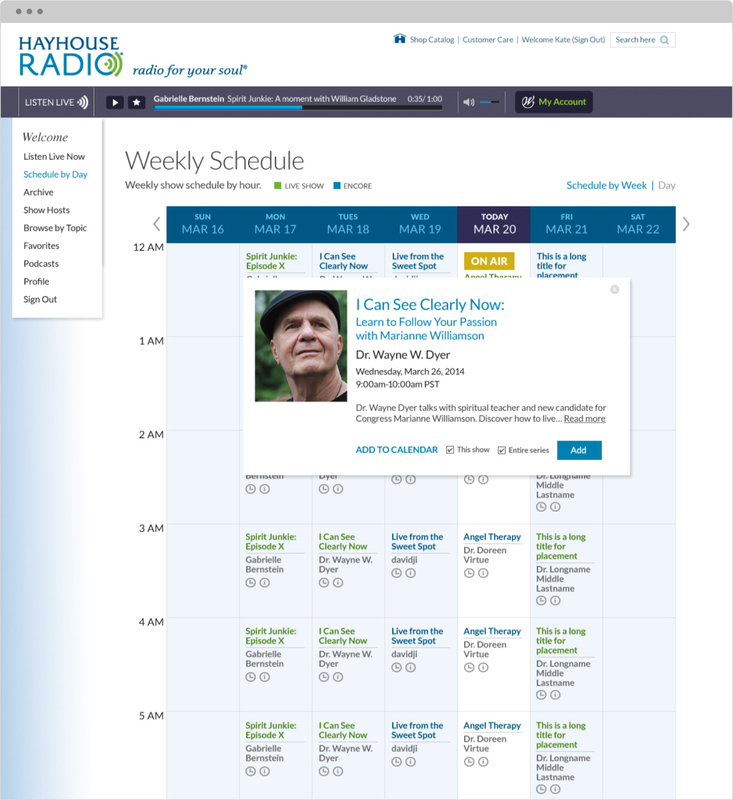 Make sure the radio player was accessible on every page. Make sure the mature audience—mainly women in their 40s+ could easily use and navigate through the site, yet encourage younger new viewers to join too. 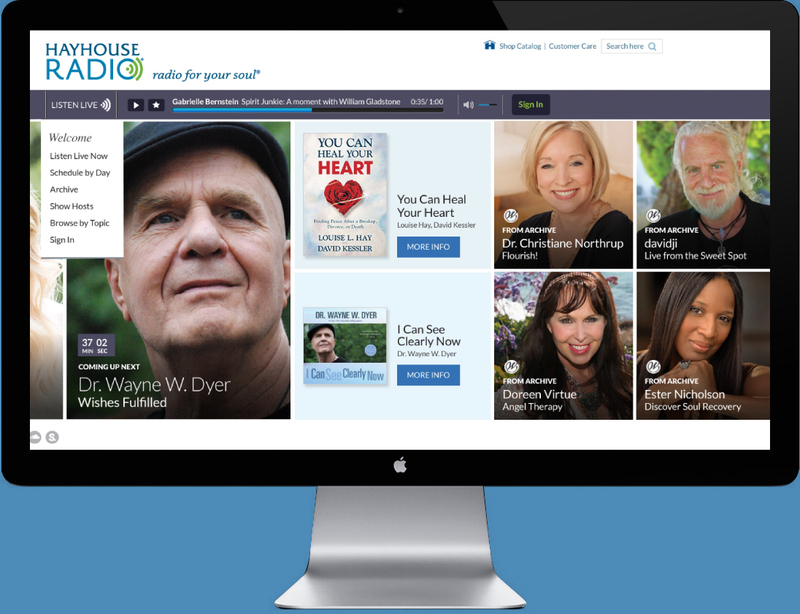 Boost Wisdom Community membership sales. 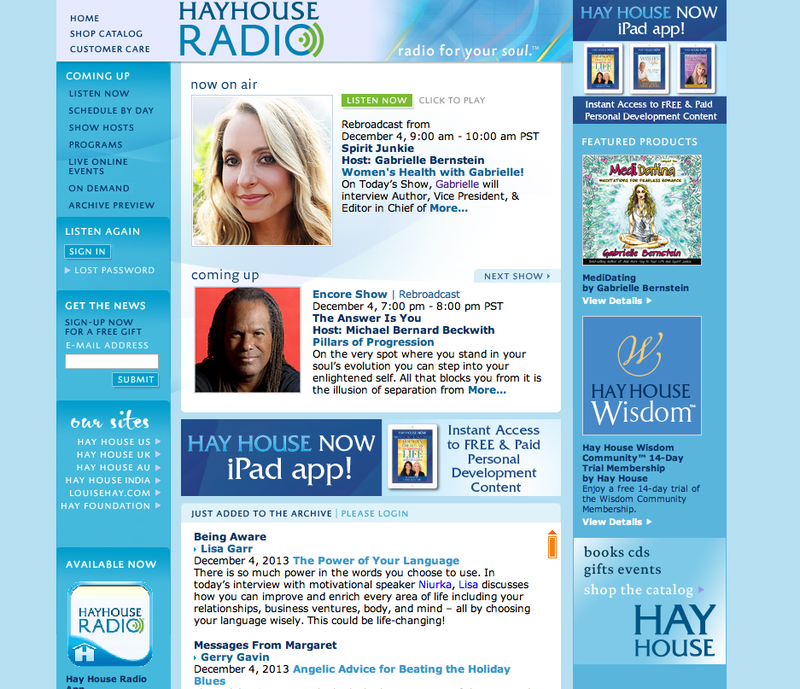 Hay House didn’t have any brand standards so there wasn’t consistency or information hierarchy. We wanted to make this radio sing! 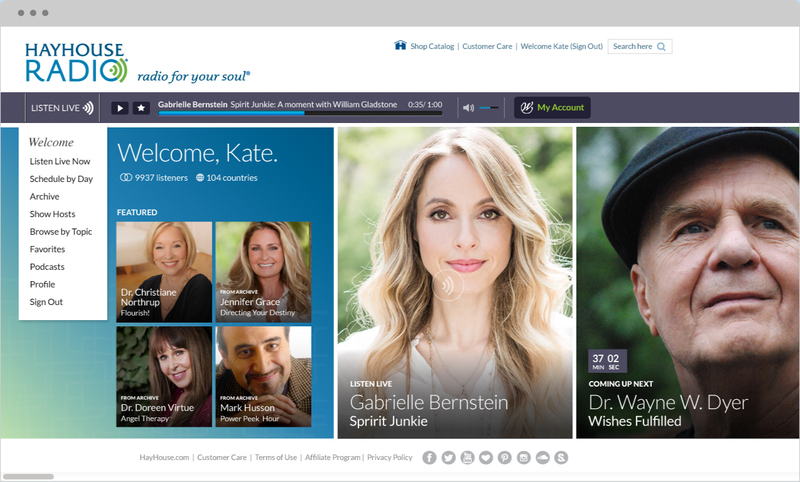 We leveraged technology and design to make this site meaningful and dynamic. 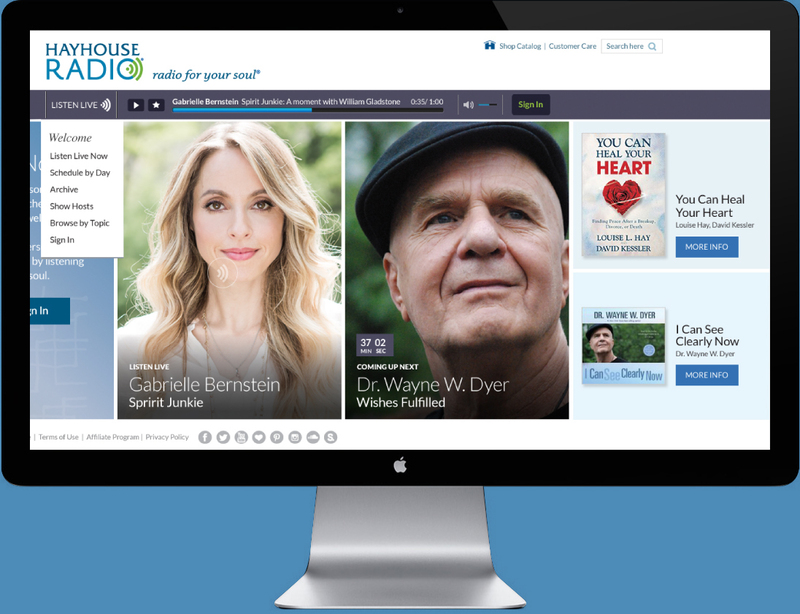 This site has really valuable content–top experts sharing free advice and empowering wisdom 24/7. By scaling up the expert photos and creating a gallery-like feel on the homepage, it enables the viewer to engage with the expert, almost like a 1-on-1 chat. We kept the colors and fonts simple and classy. 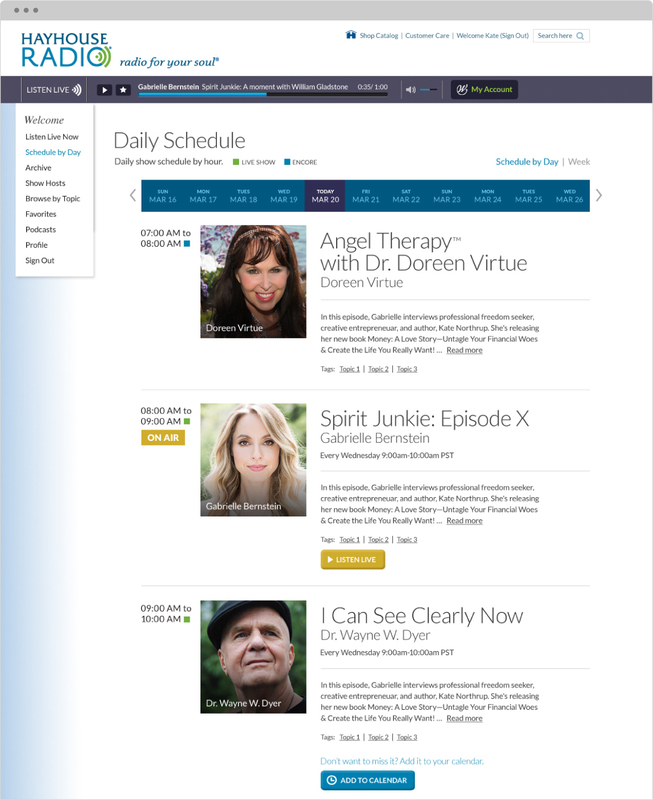 This site was about making the experts and their shows accessible quickly. 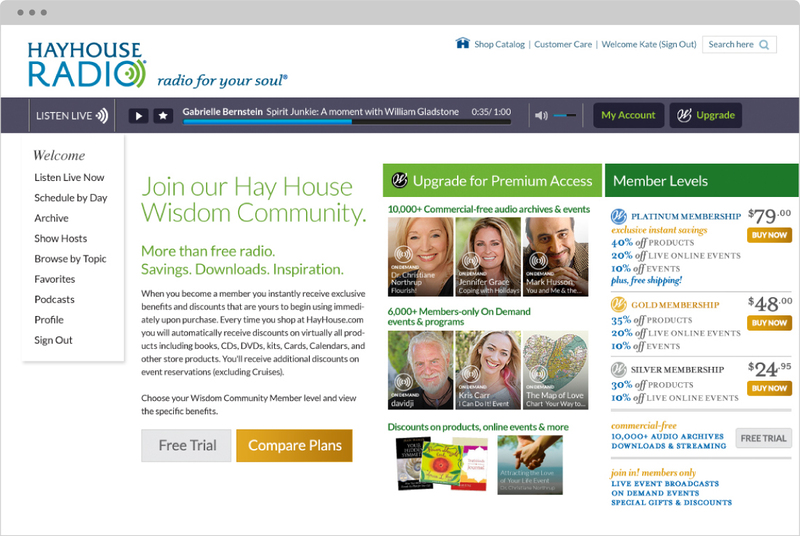 And Wisdom Community membership increased. This was our first project with Hay House and since then we’ve been creative partners with them and Katana for more than 2 years. We personalized the experience. 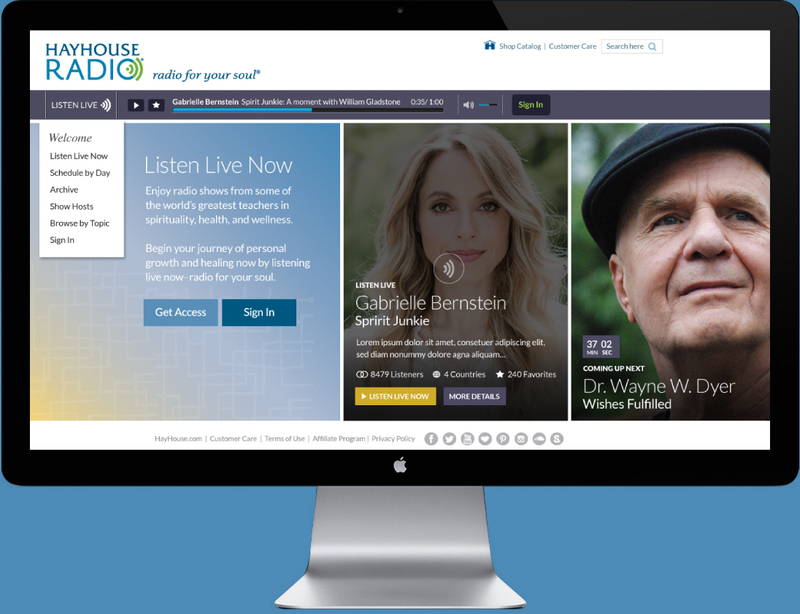 When Wisdom Community Members signed in, we created a custom homepage with their name and the day’s featured radio experts. 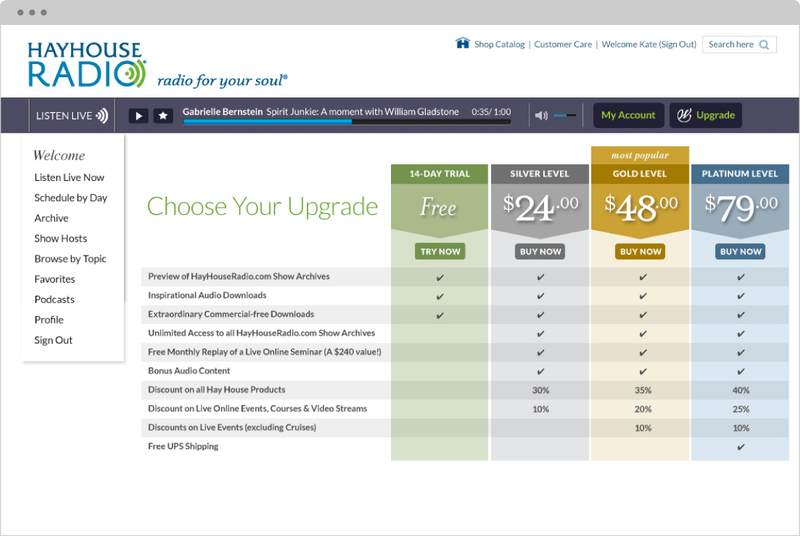 Project Credits: Strategy and Web Development by Katana.